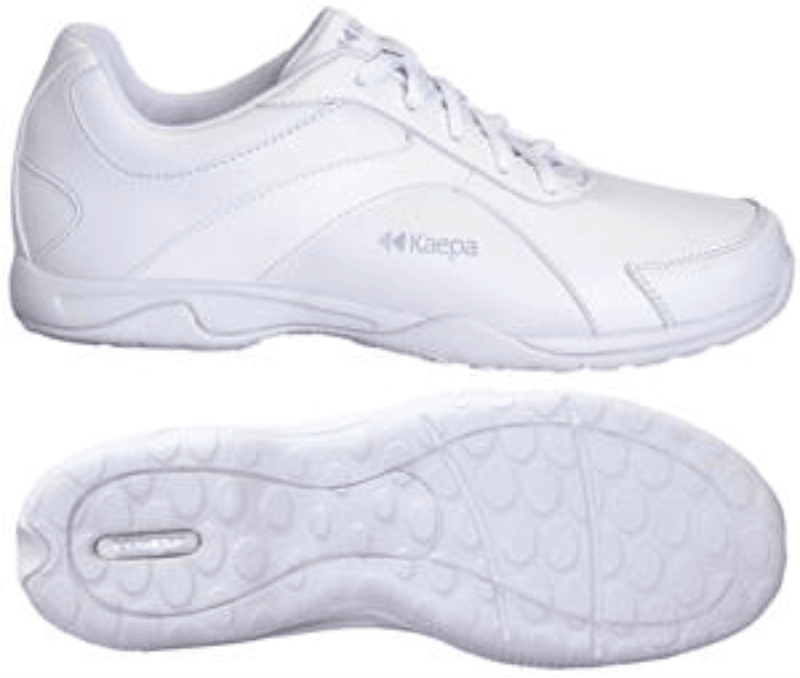 The Kaepa CheerUp is a sideline and competition level shoe. Ideal for cheerleaders of all ages and skill levels. Jump High and Cheer Loud! Removable insole with APX heelpad for added cushion and shock absorption. Easy-to-clean upper for comfort and durability. High abrasion toecaps for added durability. Outsole engineered with 100% rubber outsole in high impact zones for less weight with maximum durability. Premium removable insole with resilient polyurethane foam and APX heel cushion for comfort and shock absorption. Antimicrobial Aegis™ Lining: Permanently treated to kill bacteria and odor. Scalloped arch and rear finger notch for added stunt control. Board lasted for added stability. Tumble toe to enhance motion fluidity. Low profile EVA midsole for lighter weight. Screen and embossed silver Kaepa quarter logo.